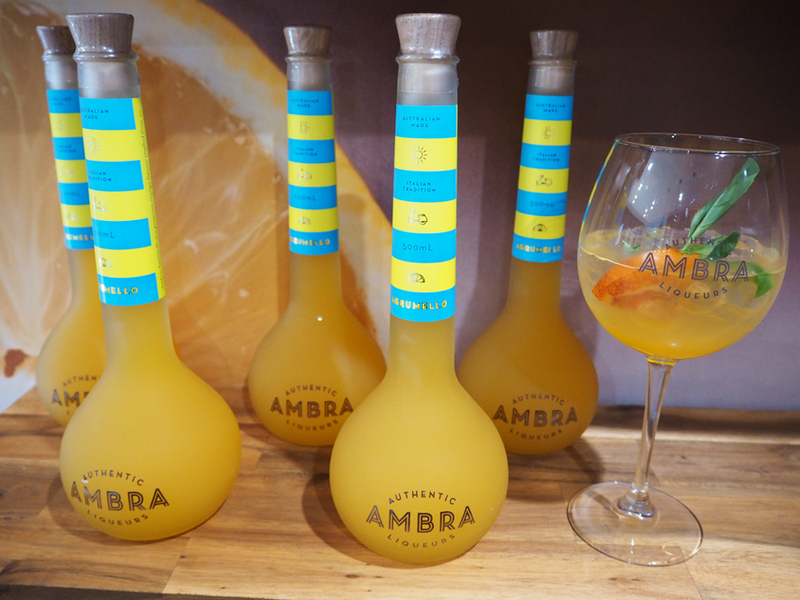 At the launch party we sampled some of their range including Limoncello (lemon flavoured) Agrumello (orange), Amaretto (almond), Chocolatino (chocolate), cuppucino (coffee) and tangelo liqueurs. Originally founded in 1998 by Libero De Luca, current owners Nando Focareta and Peppe Fusco continue with their nod to their Italian heritage with their range of liqueurs. 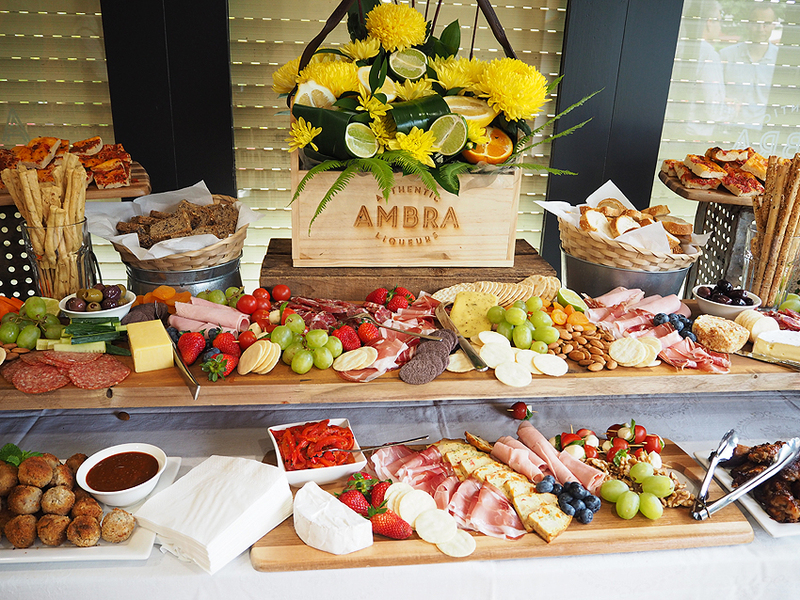 Ambra Liqueurs is South Australian owned and operated with many of their ingredients sourced locally. 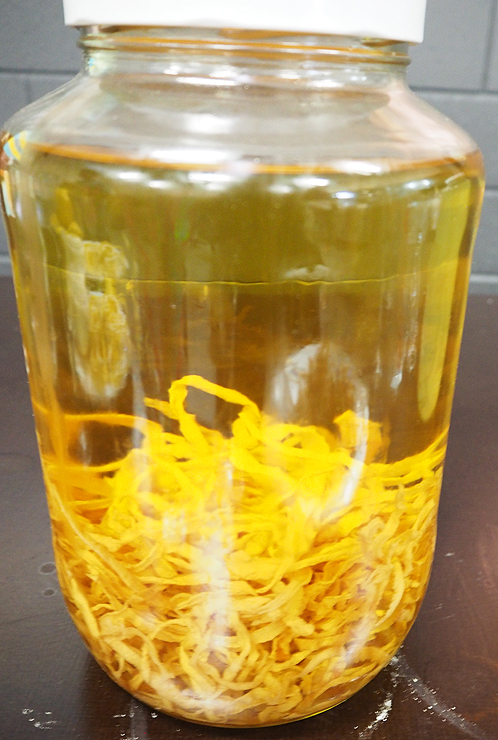 Nando took us for a tour and explained exactly how the Limoncello liqueur is made. 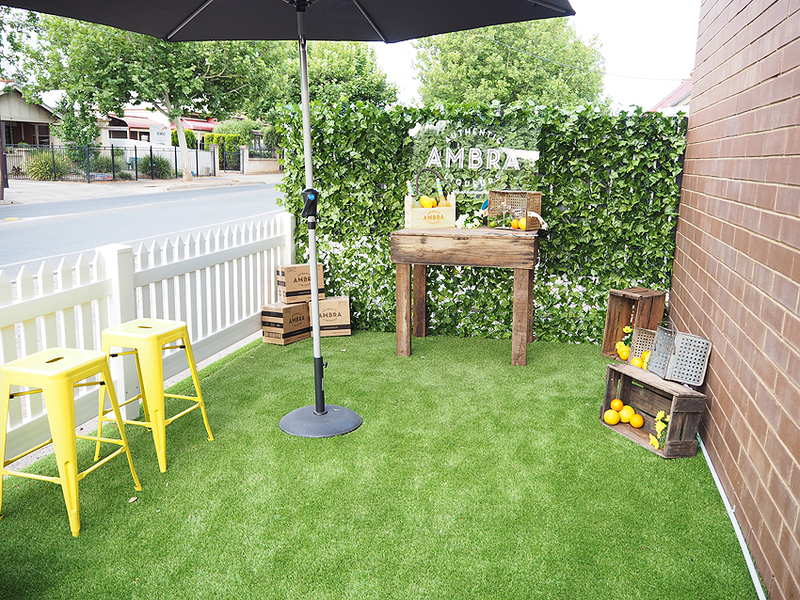 Lemons are sourced locally, from the Riverland and only the rind is used. The flesh is then passed on to Nippy’s for juicing. The peel is then soaked in 96% pure alcohol, also sourced locally. 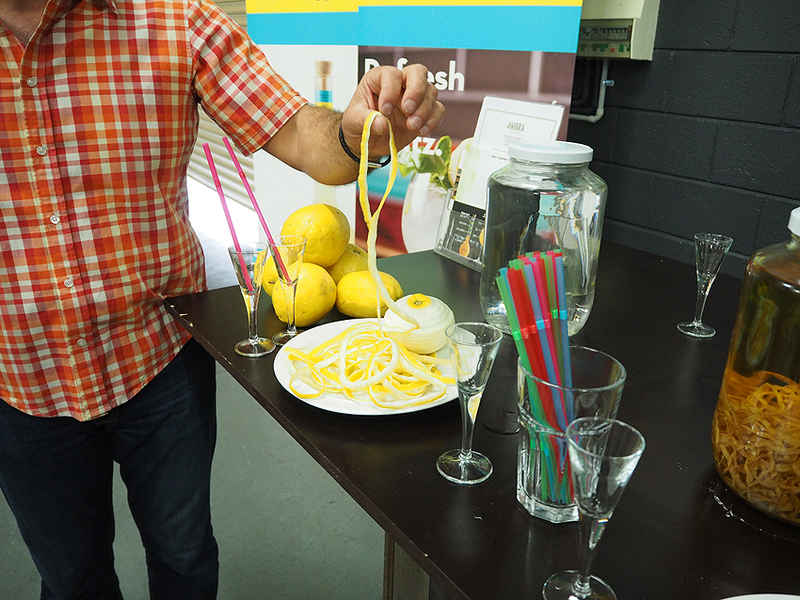 It’s then mixed with water and sugar, which is a fine balancing act, to get the exact Limoncello flavour and balance! All natural with no additives! 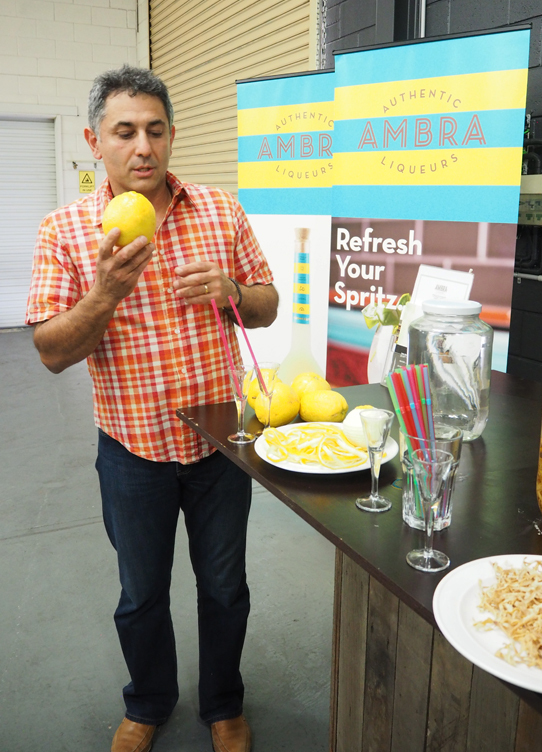 Originally drunk as a traditional Italian liqueur Limoncello is being showcased as an aperitif and a cocktail. 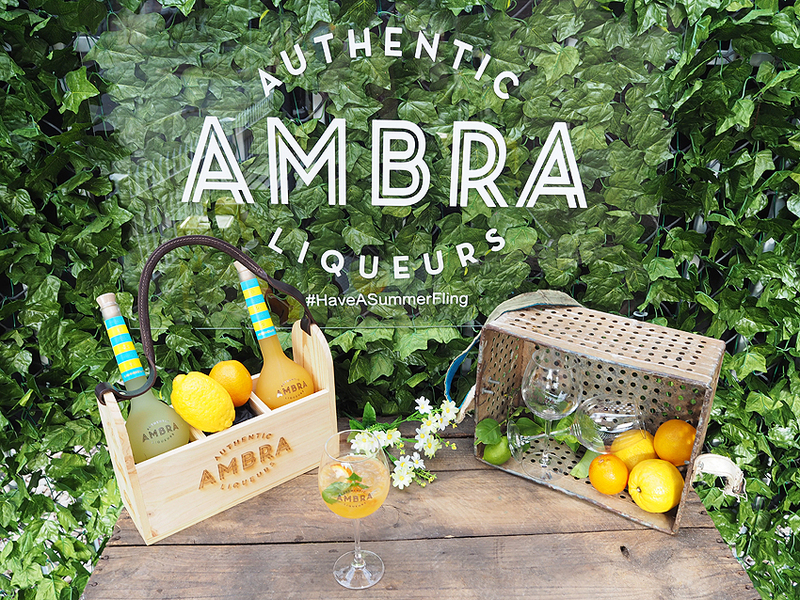 The Ambra lime blush enjoys a mix of Limoncello, cranberry juice, soda and lime. Perfect for the balmy summer nights ahead! 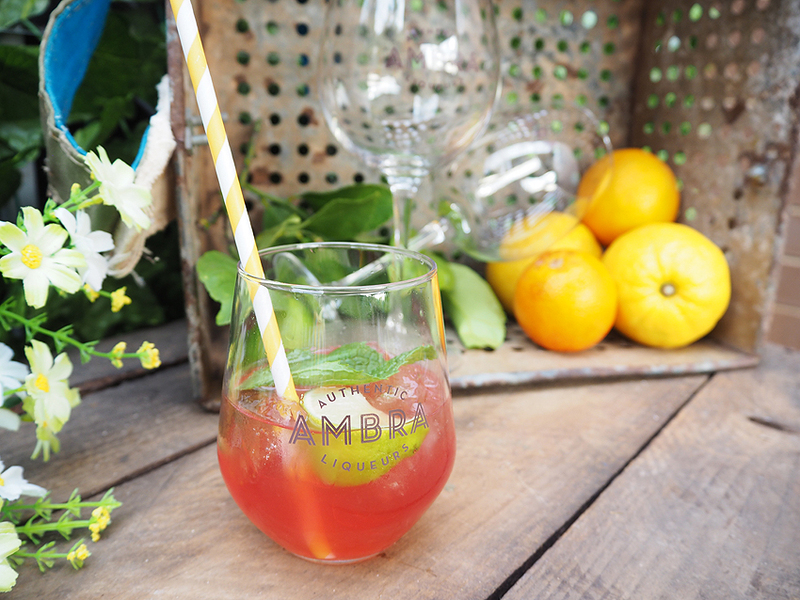 Or enjoy an Ambra spritz – Prosecco, Ambra Agrumello, soda, ice, basil and blood orange. And another addition is a Piaggio named Sophia! 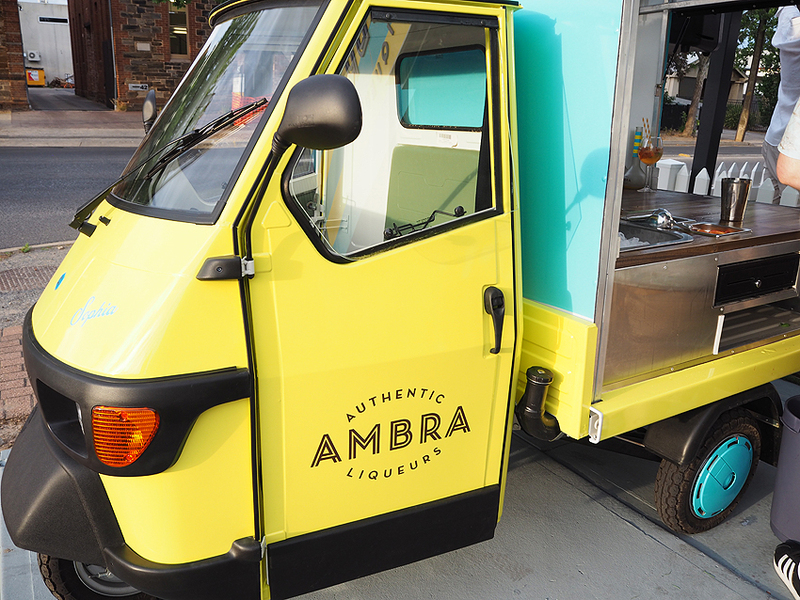 It’s imported from Italy and the first of its kind in Adelaide, customised here to provide a mobile spritz bar for events and private functions! 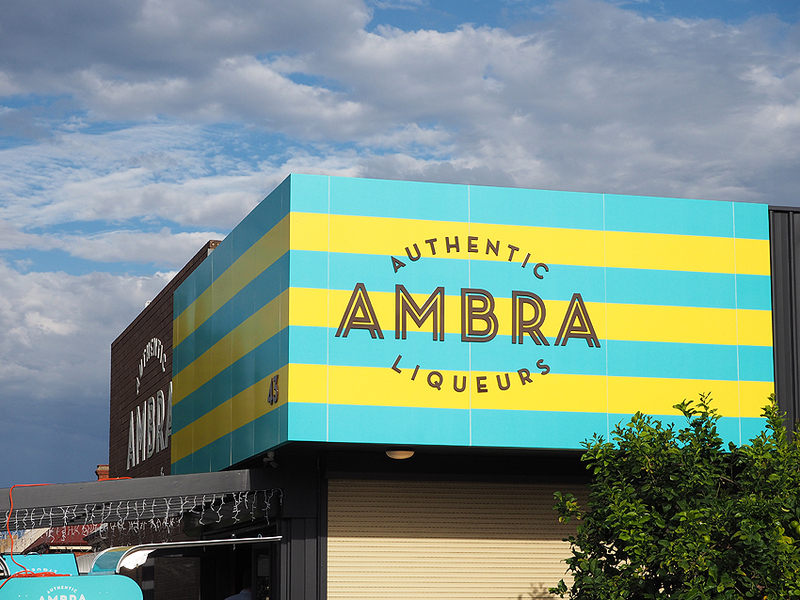 The Spritz Bar is located at 43 Phillips Street, Thebarton. The opening hours are Wednesday to Friday 9am to 5pm and the first Saturday of the month 1-5pm.